Well, do you like olives? So, when I came across this cute little ‘olive facial bar’ by Vaadi Herbals, I knew I had to give it a try! DESCRIPTION: Olive Facial Bar with cane sugar extract, for a healthy glowing skin. A handmade product with essential oils. 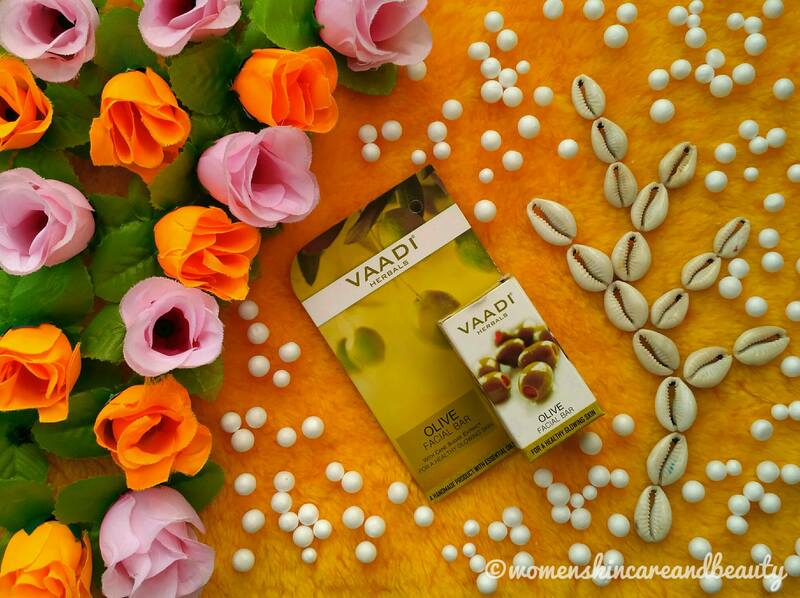 A deep-nourishment formula, Vaadi’s Olive Facial Bar grants your skin health & a healthy glow. Glycolic Acid constituent of Cane Sugar Extract mildly exfoliates the skin; bringing fresher skin to the surface. While Olive Oil moisturises & softens the skin; and improves its elasticity. Organic. Chemical free. Earth and plant based ingredients. Paraben free. Ayurveda. GMP certified. ISO certified. Not tested on animals. 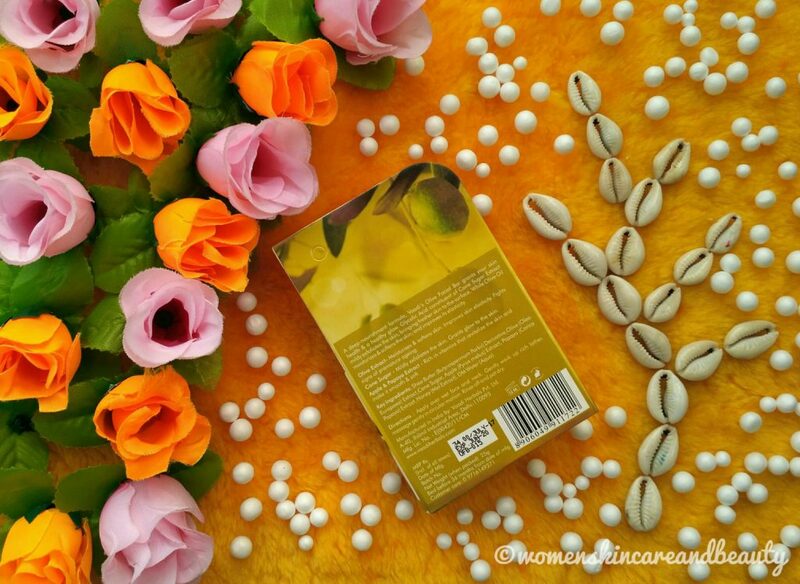 KEY INGREDIENTS: Shea Butter (Butyrospermum Parkii) Derivative, Olive (Olea Europaea) Extract, Cane Sugar, Apple (Pyrus Malus) Extract, Papaya (Carica Papaya) Extract, Honey (Mel Extract), DM Water (Aqua). Olive Extract – Moisturises & softens skin. Improves skin elasticity. Fights signs of premature ageing. Cane Sugar – Mildly exfoliates the skin. Grants glow to the skin. Apple & Papaya Extract – Rich in vitamins that revitalize the skin and make it smooth & soft. DIRECTIONS: Apply over wet face and neck. Gently work up rich lather. Massage gently in circular motion. Rinse off and pat dry. COST: Rs. 35 for a bar of 25g. 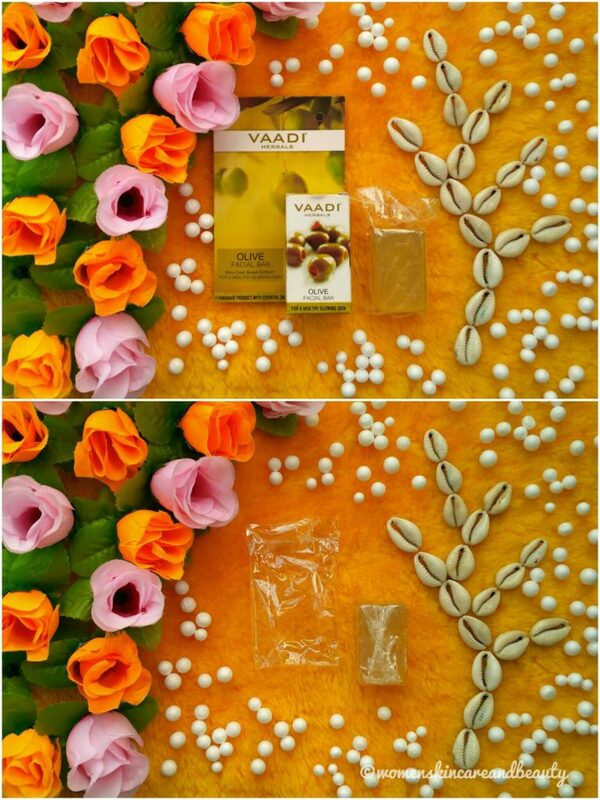 Vaadi Herbals olive facial bar comes in a sturdy, olive-coloured cardboard box packaging which contains most of the necessary details about the product mentioned over it… The soap inside further comes wrapped in two layers of plastic which keep it safe and uncontaminated until it is opened for use! The overall packaging is really impressive for such an inexpensive product and the only thing that I find odd is the absence of the complete list of ingredients! I have a normal to slightly dry skin type right now and this soap doesn’t leave my face dry or stretchy post use! But I have observed that if I skip my moisturiser, the skin around my mouth and eyes starts to get dry and stretchy after about 4 to 5 minutes of washing my face… So, in my opinion, this facial bar would work best for people with normal to oily skin types. While for people with dry to extremely dry skin types, it may leave the skin even more dry and stretchy! Additionally, my skin is quite prone to acne and this soap doesn’t break out my skin or aggravate the acne already present on my face… So, I feel that people with acne-prone skin types, too, can give it a try! Inexpensive and easily available online on Amazon, Nykaa and Flipkart! Free from parabens and enriched with the goodness of olives, cane sugar, apple, papaya, honey and shea butter! Has a mild and pleasant fragrance! Lathers quite well and cleanses the skin of all the dirt, dust, oil and impurities! Leaves the skin clean, soft, smooth and fresh! Regular use brightens up the skin, although to a very small extent! Doesn’t leave the skin dry and stretchy for normal to oily skin types! Doesn’t break out the skin or aggravate live acne! One bar lasts for at least one and a half months, even if used twice daily! The complete list of ingredients is not provided! Contains some amount of surfactants, most probrably sulphates! Not travel-friendly as it is a bar of soap! Not suitable for dry to extremely dry skin types! That’s very detailed review. It’s impressive that it’s doesn’t cause skin breakout. I’ve normal to oily skin. This seems worth trying to me. I am into organic and herbal soaps or handmade soaps. 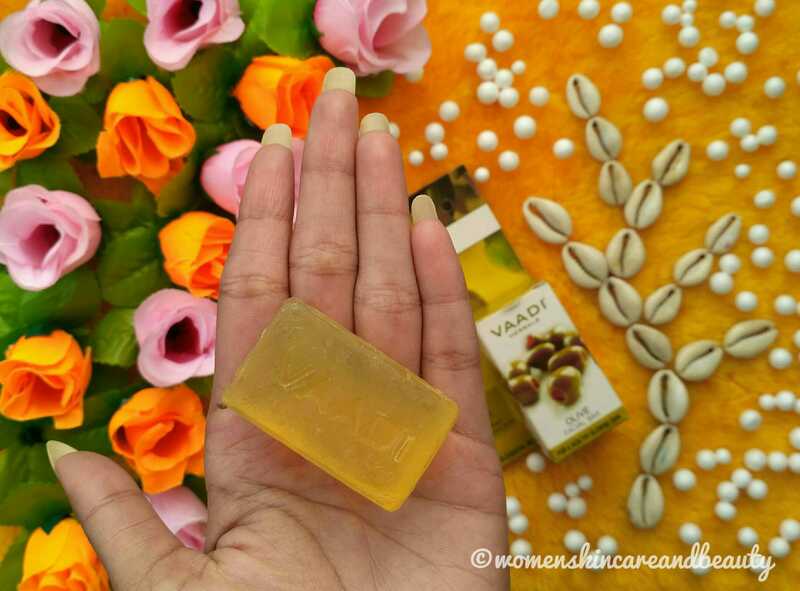 Vadi seems to be perfect choice for a soap. Thanks for sharing. If it contains sulphate’s it’s a problem for me. I am allergic. Is it written on the label? I love soaps. More so If they are handmade. Reasonable and chemical free is the best reason to buy it.. Will definitely buy.. Sounds and looks lovely . I definitely love olives too 🙂 interesting review, especially as this is a product especially for the face! though i would worry a bit with the fact that all products aren’t listed! however, your experience and review and enough recommendation for me to try this out. I have used this brand it’s amazing with natural ingredients. I would surely try this facial bar sometime soon. I shy away from using soap on my face which is very dry. I would like to try this out as it has the nourishing properties of olive oil. 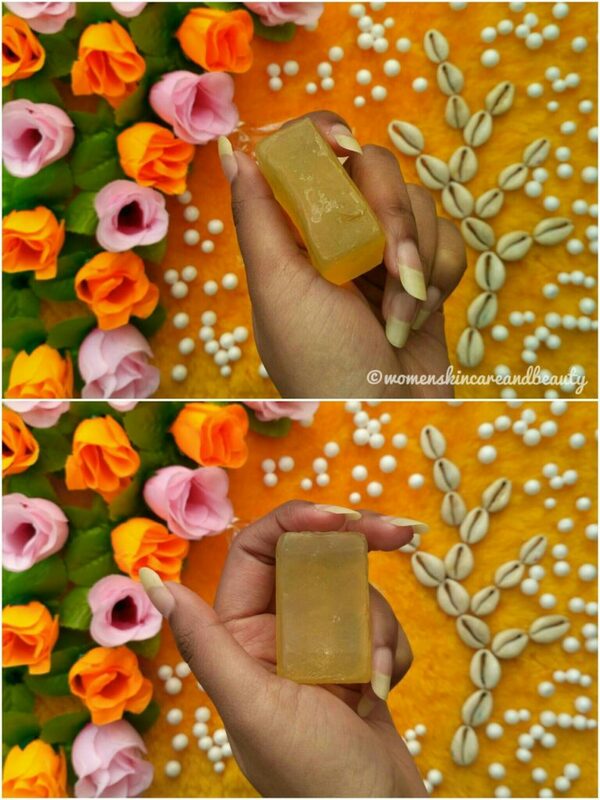 The products from Vadi Herbals is facial soap is I would love to try . Looks like this is really a better option than Foamy face washes loaded with chemicals. This facial bar sounds so good for skin care. I would try it soon on your recommendation. I haven’t used a soap on my face for the longest time. This bar sounds promising though. Can give this a try for a change. Being a fan and consumer of Natural products , I would love to try this Olive facial bar. Thanks for providing the detailed info. Glycolic acid is a lovely exfoliant and I use it regularly in my skincare routine. Good to know this olive oil soap has glycolic acid from sugarcane extract. I would love to try this. This seems to be a nice product for herbal lovers. It is nice to know that this soap doesn’t melt on the bathroom shelf. My soap just vanishes in a few weeks. Thanks for sharing the honest review. Going to check this one for sure. A Facial bar sounds interesting and this one looks so affordable and worth the price. This seems like a great product but not for me as i have dry skin type.. According to the price this one is a must try.. I haven’t tried this facial bar, but I would love to try. My skin is normal and I loved that it is chemical free and cleanses skin thoroughly. I have not tried this product as yet. After your recommendation I will try it for sure. Thank you for sharing. Finally a good organic product for the face. Reasonable and chemical free. Surely will try it. Thanks a lot for this informative post.